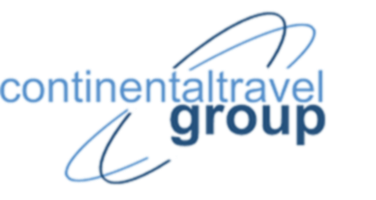 The Continental Travel Group | Senator calls for FAA investigation of runaway fees that can double passenger fares despite plummeting fuel costs. 14 Mar Senator calls for FAA investigation of runaway fees that can double passenger fares despite plummeting fuel costs. U.S. Senator Richard Blumenthal (D-Conn.) late last month, called on the U.S. Department of Transportation to investigate hidden, runaway fuel surcharges and airline fees that can double passenger fares despite plummeting fuel costs. This is a part of the long-running effort to have airlines be more transparent about their fees and surcharges. This is one of the most direct requests of the FAA from Congress to look into these runaway fees. Blumenthal is also calling on the DOT to investigate the application of such fees after consumers seek to redeem frequent flier miles. There have been reports of consumers seeking to redeem loyalty miles only to be hit with hundreds of dollars in confusing charges at check out. “In 2012, the Department of Transportation (DOT) prohibited airlines from imposing additional “fuel charges” unless they could be directly linked to the additional cost of fuel. Not coincidentally, as fuel prices declined, most airlines dropped “fuel charges” and began assessing consumers other vaguely worded charges such as “international/domestic surcharges”, and “carrier imposed charges,” which seemingly have no relation to any additional costs borne by the airlines. These seem to be the same bogus charges, simply by a different name. This anti-consumer practice shrouds the true cost of airfares and can deceive consumers searching for the best deals. Accordingly, I write to urge you to use your statutory authority to investigate whether these surcharges are unfair and deceptive, and to take swift and appropriate enforcement action to ensure consumers know what these surcharges reflect,” Blumenthal states in the letter. In 2012, the Department of Transportation (DOT) prohibited airlines from imposing additional “fuel charges” unless they could be directly linked to the additional cost of fuel. Not coincidentally, as fuel prices declined, most airlines dropped “fuel charges” and began assessing consumers other vaguely worded charges such as “international/domestic surcharges”, and “carrier imposed charges,” which seemingly have no relation to any additional costs borne by the airlines. These seem to be the same bogus charges, simply by a different name. This anti-consumer practice shrouds the true cost of airfares and can deceive consumers searching for the best deals. Accordingly, I write to urge you to use your statutory authority to investigate whether these surcharges are unfair and deceptive, and to take swift and appropriate enforcement action to ensure consumers know what these surcharges reflect. A quick review of various carrier-imposed surcharges at different airlines will show you that it is impossible to substantiate whether the fee accurately represents the actual cost of the item since the fee is often circularly defined. British Airways – American Airlines’ Oneworld alliance partner – assesses a carrier surcharge that may be even greater than the cost of the base fare, explaining: “British Airways may impose a charge called a carrier imposed charge as part of the total price of the airline ticket, which you may see stated separately in certain displays during the booking process or on your final e-ticket receipt.” Similarly, Delta tells consumers, “For some international itineraries, Delta has carrier-imposed surcharges stated separately from the base fare, which may be up to $650* each way.” (The asterisk provided by Delta to indicate an “approximate amount,” not a maximum.) By failing to define the surcharge, airlines appear to escape any responsibility for explaining how they came up with these amounts, possibly padding their profits by deceiving consumers. As you know, DOT’s full-fare advertising rule, which went into effect in 2012, requires that advertised fares include all taxes, government-imposed fees, and any other charges. Fees separated from the base fare may be stated separately, but “must provide cost information on a per passenger basis that accurately reflects the cost of the item covered by the charge.” Thus, in accordance with the full-fare advertising rule, I urge DOT to investigate whether carriers are using these surcharges to mislead and possibly deceive consumers. Furthermore, airlines’ supposed concerns, documented in public comments on airline passenger protection rulemakings, that “passengers [will] not know how much of their total price consists of government imposed taxes and fees” should also extend to their own carrier-imposed fees. Additionally, the fact that carrier-imposed surcharges sometimes only surface when a consumer attempts to redeem an award ticket through an airline loyalty program seems to further confirm the deceptive nature of these surcharges. 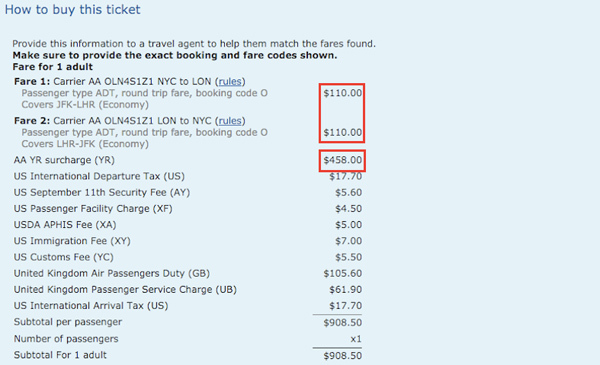 For example, a thorough examination of Delta SkyMiles’ voluminous rules and conditions webpage yields only a hint that the award ticket “may include up to $600 for foreign government taxes and fees and/or carrier-imposed fees for international itineraries.” Moreover, the rules do not constitute “a complete list, and Delta reserves the right to change fees or add additional fees at any time without advance notice.” It is an unfair and deceptive practice when airlines convince consumers they are earning thousands of miles to use with award programs only to be surprised by hundreds of dollars in hidden fees at the checkout page. Congress has made significant strides in recent years to invest in the aviation sector. As a member of the Senate Commerce, Science, and Transportation Committee, the panel charged with overseeing the aviation industry and consumer protection, I am eager to ensure that airline passengers receive reliable service at a fair and reasonable price. I plan to make this a key priority as I work with my colleagues to craft a long-term measure reauthorizing aviation programs. According to the International Air Transport Association, airlines are expected to see even greater earnings in 2016 – an estimated $33 billion, almost doubling earnings of $17.3 billion in 2014, yet the price of an airline ticket remains sky-high and out-of-reach for far too many Americans. It is time for DOT to crack down on continued unfair and deceptive charges by airlines.